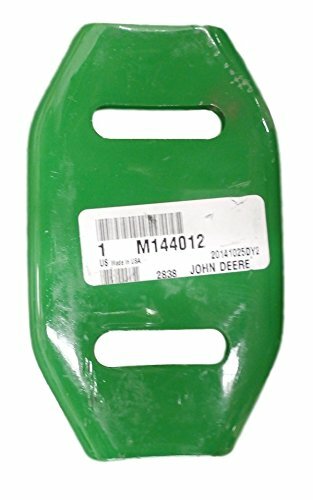 New John Deere set of two standard duty skid shoes that fit the following snow blowers: 524D, 724D, 826D, 924DE, 1128DE, 1128DDE, 1332DDE. The part number is M144012. We recommend that you change the skid shoes as a set. New John Deere set of two standard duty skid shoes that fit the following snow blowers: 524D, 724D, 826D, 924DE, 1128DE, 1128DDE, 1332DDE. The part number is M144012. We recommend that you change the skid shoes as a set.